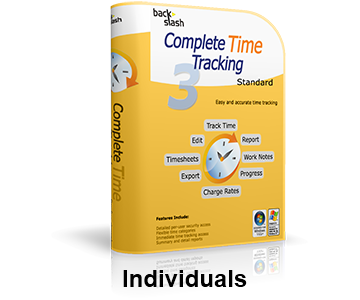 EASY, ACCURATE and FLEXIBLE TIME TRACKING – With a Single Click! Complete Time Tracking runs on your computer and is incredibly easy to install – you will be up and running in under a minute. Because it runs locally you have instant access with single click time tracking and there is no reliance on Internet connectivity. You have total ownership and access to your data. If you have a need to track how much time you spend on various activities or projects, for billing, project management or staff management then Complete Time Tracking is for you. 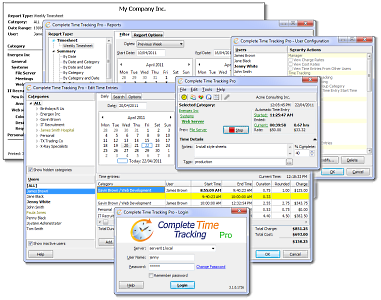 Complete Time Tracking is for individuals, small and large companies, and entire organizations. Who Uses Complete Time Tracking? We have thousands of customers ranging from individual contractors and consultants to some of the largest organizations in the world. 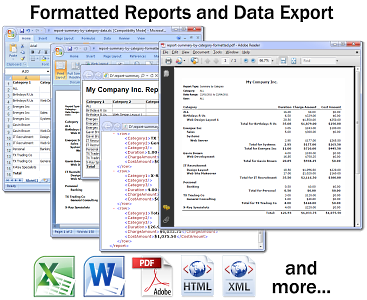 Complete Time Tracking is used by accounting and architectural firms, lawyers, software companies, universities, governments, manufacturers, outsourcing companies, research and development, and countless other industries. We stand by our products. Find out more, download now and try them FREE for 30 days, or buy now with a 30 day unconditional money back guarantee.